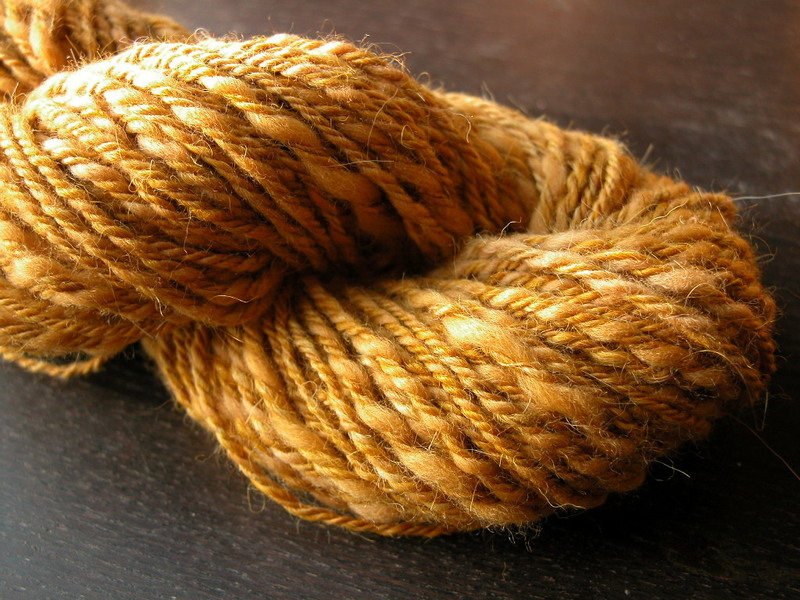 My Phaeolus dyepots are all done now, so while I move on to the mushrooms that have been drying for the last few months, I’m spending my evenings spinning these beautiful gold fibres. 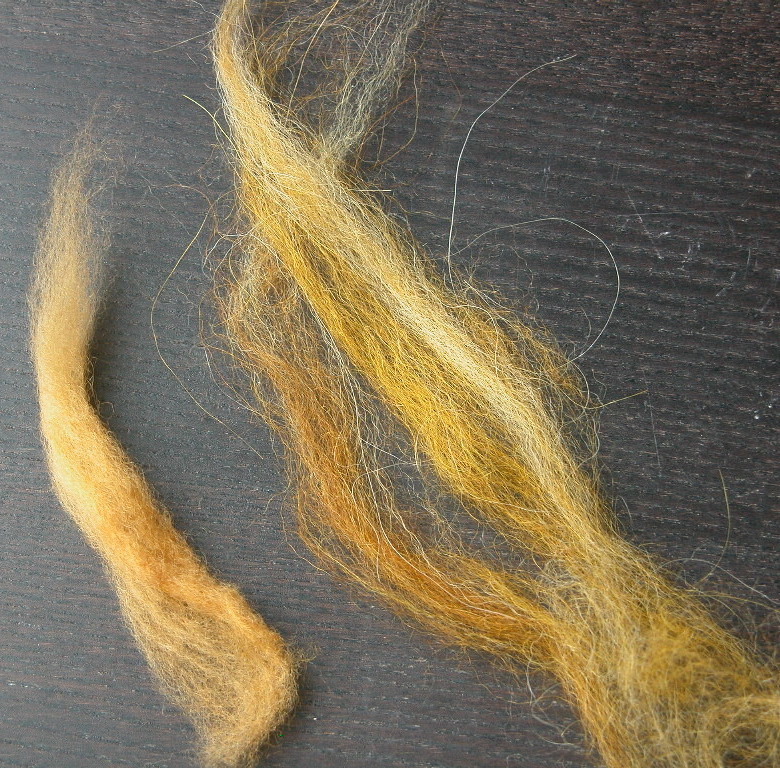 I dyed some llama rovings in a Phaeolus dyepot (the three strands of fibre on the right—mordanted in copper, iron and alum, left to right)—and I love the gentle way they picked up the colour. The llama was beautiful to spin, but very slippery. I blended the three hues into one yarn, then used two plies of that with one ply of thick-and-thin merino, to give the final yarn some body. This skein feels lovely and soft. 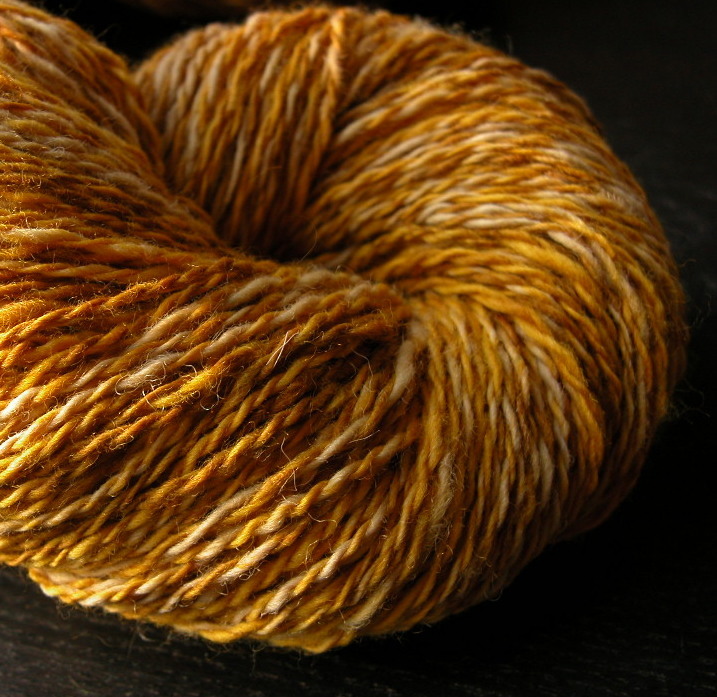 Then I carded together several shades (in merino) and got an interesting heather effect. 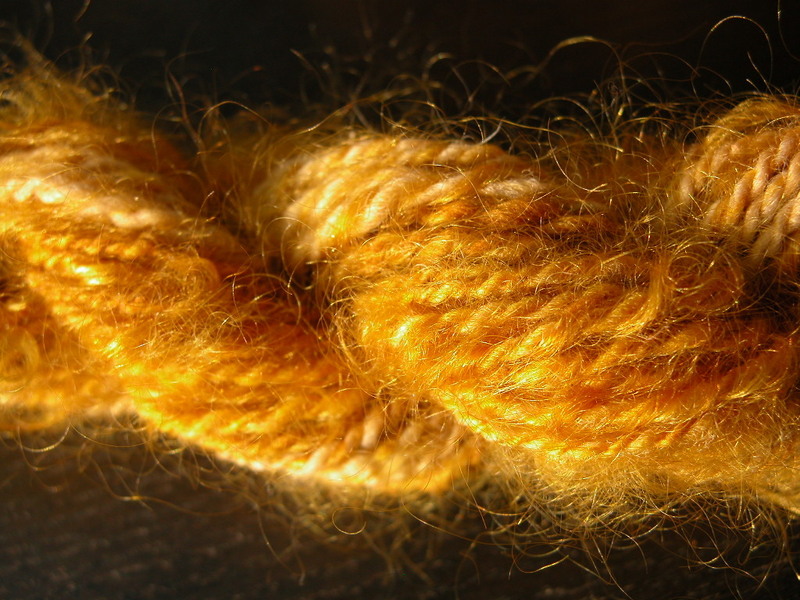 I also had some mohair locks that just soaked up the brilliant gold. I cut these into manageable bits, which I encased between plies of the merino. 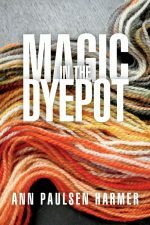 Unfortunately, it didn’t go very far—next year I’ll have to dye much more than a couple of handfuls—but this little skein is magic and would be good to use in combination with the merino yarn. The colour is beautiful. I like it very much. beautiful yarn Ann. That yellow is so warm.